How many holidays can you name where presents are exchanged? Christmas, Birthdays, anniversaries, etc. We seem to find all sorts of reasons to give gifts. But what is really more important to you: the gift or the giver? When we think of the greatest gift ever given, we need to answer that question in our hearts as well. 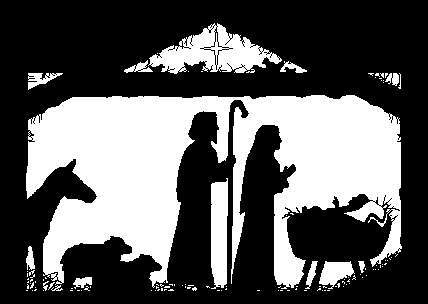 The Gift of Christ was important. It seemed like God had been absent from the lives of his people at the time Christ came because it had been 430 years since the time of Malachi’s last message to the people of Israel. In spite of the ripening climate for the Messiah’s coming, the people looked for a ruler to maintain the rule of their forefather David. But God desired to save the his people, not to maintain the kingdom of Israel. And he did not do it from a distance – he came to earth to be one with his creation. A prince desired to find a maiden in his kingdom who would be suitable to be queen. While running an errand for his father the king, he passed through a poor section of one of the villages. He happened to see a beautiful peasant maiden. In the days that followed, he often passed the maiden and fell in love with her, even though he had never spoken with her. In order to win her hand, he gave up his life in the castle for a time and moved into the village to be near the young girl. In time, she fell in love with him for who he was, not for his position as the prince of the kingdom. Likewise, Christ gave up all his heavenly riches and position to live among his creation both as fully God and fully human. He made himself “nothing” as Philippians 2:6 points out in order to become touchable to his creation. He gave us the gift of his Presence. The greatest gift a parent can give to their child is the gift of their presence. Going to the sporting events, school plays, dance recitals, etc. are important to the child. Taking the child with them whenever they can is important to the child. Kids crave the presence of their parents. Almighty God became “God with us” because he wanted to be with us! He promises often in the scriptures to be with us 24/7: in the tough times; when others forsake us; in the ordinary moments of out lives – even when we fail to be with him. The gospel is the story of God loving us so much that he became one of us…that he came to live among us that we might one day live with him! God came to our place, he took our place and he invites us back to his place. God’s son was more than a PRESENT that God gave to us. It was his PRESENCE with us.